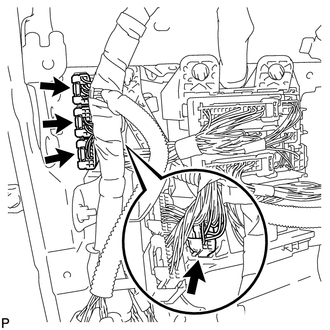 Refer to the procedure up to Remove Upper Instrument Panel Sub-assembly (See page ). 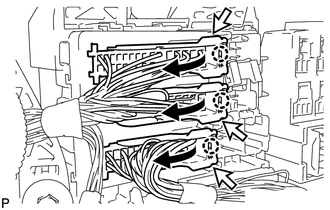 (b) Disengage the 2 claws and disconnect the connector <A> as shown in the illustration. (c) Disconnect the 3 connectors. 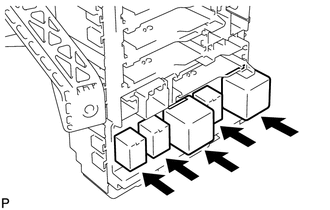 (d) Disconnect the 3 connectors as shown in the illustration. 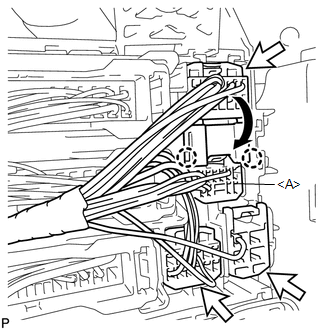 (e) Disconnect the connector <A> as shown in the illustration. (g) Disconnect the 2 connectors. (h) Remove the 3 nuts. (i) Disengage the 2 claws. 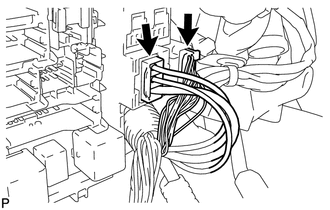 (j) Disconnect the connector <A> as shown in the illustration. 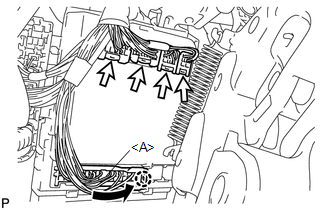 (k) Disconnect the 4 connectors and remove the main body ECU (driver side junction block assembly). (l) Remove the 5 relays. 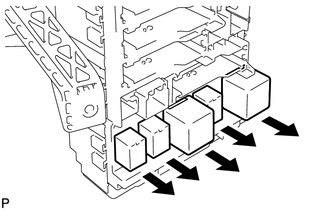 (a) Install the 5 relays. 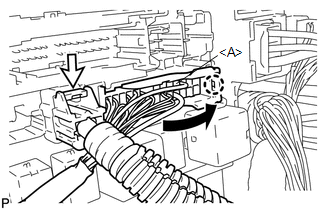 (c) Connect the connector <A> as shown in the illustration. Be sure to engage each connector securely. (d) Engage the 2 claws. 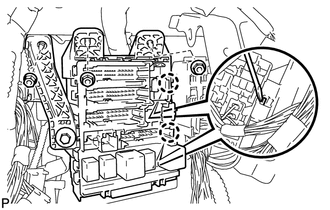 (e) Install the 3 nuts and install the main body ECU (driver side junction block assembly). Be sure to engage the connector securely. (g) Connect the connector <A> as shown in the illustration. 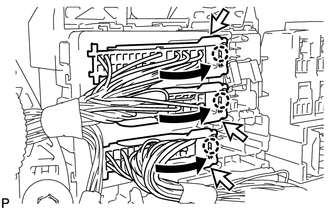 (i) Connect the 3 connectors as shown in the illustration. 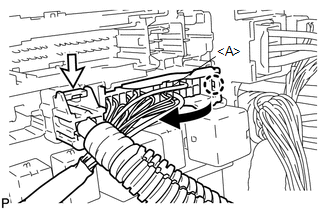 (j) Engage the 2 claws to connect the connector <A> as shown in the illustration. (k) Connect the 3 connectors. (l) Connect the 4 connectors. 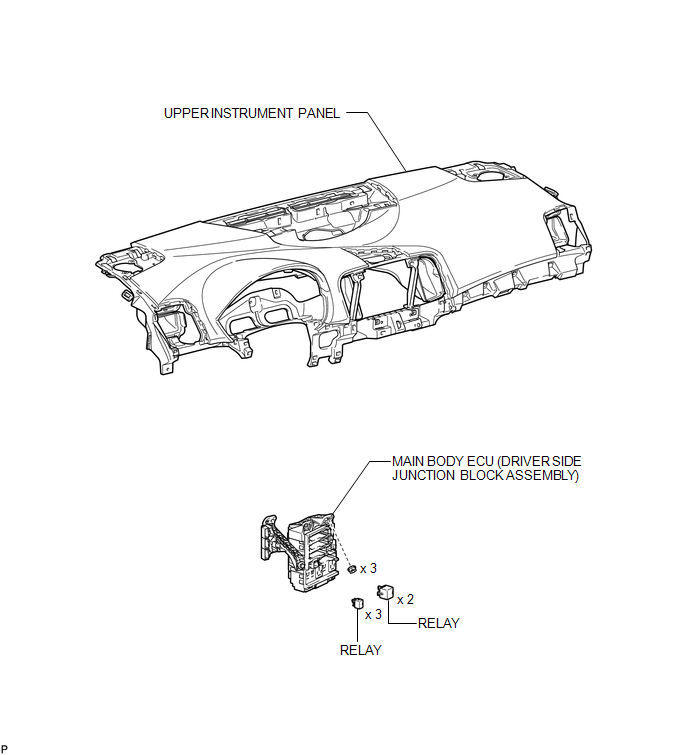 Refer to the procedure from Install Upper Instrument Panel Sub-assembly (See page ).